A few days ago I decided that in my private journal, I was going to hash out my feelings about a word I hadn’t been using: the p word. Pagan. 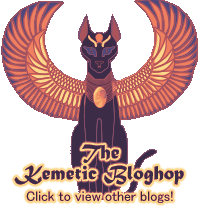 Now it seems that the question of Paganism is kind of a hot topic, having found its way to Pantheon, the pagan blog on Patheos, where the usefulness of the term “pagan” has been questioned, with much response. For me, the issue is complex. For a long time I deliberately stepped away from the word “pagan” because I felt it applied to something I wasn’t: to the Earth-based, Goddess-worshipping, sometimes-Wiccan-but-not-always pagans I met everywhere I tried to go. There wasn’t much room for a semi-hard polytheist. 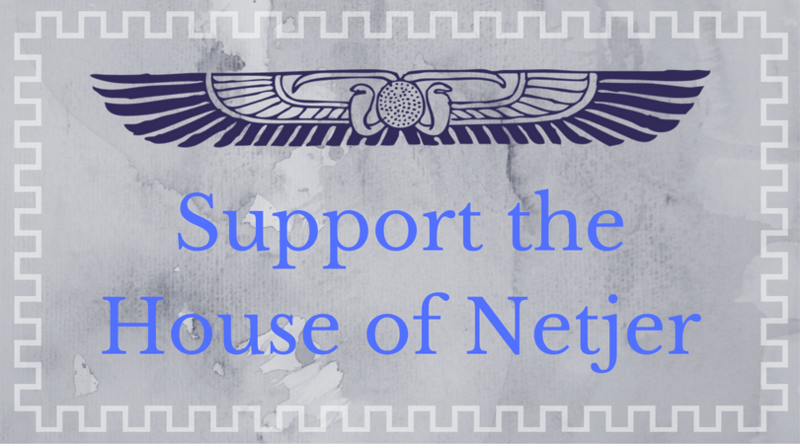 Sometimes I felt purposefully put out by people uncomfortable with my decision to be a member of the House of Netjer. I stopped hanging around pagan forums, stopped going to open rituals. The word simply didn’t belong to me anymore. In doing that, I carefully constructed a wall between where I stood, and hundreds of potentially interesting interactions, conversations and exchanges. I took away my own ability to attend Pagan Pride Days, to participate in pagan picnics, to engage in pagan-organized charity events. Clearly, if I was not pagan, I would not be allowed to socialize with the pagans. In wanting to separate myself from something I believed I wasn’t, I also separated myself from a community in which I could have any number of great experiences. It was an argument of semantics for me – whether the word was accurate enough to describe who I was. I let that in turn define what social experiences I would then have. I can’t really say if the Pagan community at large is effective. Are people having fulfilling experiences as a result of belonging? Does it help polytheists and reconstructionists find answers to their problems, or find common ground? More importantly, how does it affect our ability, as individual sects, to interact with larger world religions? My thoughts about this aren’t as concrete tonight as they were a few nights ago. Then, I was convinced I would easily start wearing the word Pagan again. I’d found that there are an increasing number of people in the polytheist/pagan/recon world who are saying and doing things that I really respect and admire, and are calling themselves Pagan. I now know about Pagan Pride Days and Pantheacon and other awesome events that I would love to attend. And yet the points I have read tonight are so very important. We do need to maintain a valid identity in our own religious beliefs. We need to know who we are, what we believe, and where our boundaries are with other religions. We do need to be accurate in defining our religious beliefs, to avoid assumptions and confusion, but we do not need an excuse to isolate ourselves – whether that is from other “pagan” religions as individual sects, or from other world religions as the larger Pagan community. We have enough to worry about without division and turf wars. Anything that helps build dialogue between ALL religions is a step in the right direction, in my book. Previous Post I really love religion.